Paperback, 5.25 x 8 in. / 176 pgs / 12 color / 45 bw. Introduction by Lynne Cooke. 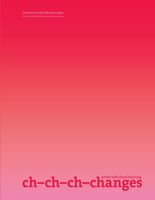 Text by Benjamin H. D. Buchloh, Rebecca Comay, Brian Dillon, Mark Godfrey, Branden W. Joseph, Tom McDonough, Molly Nesbit, Marina Warner. 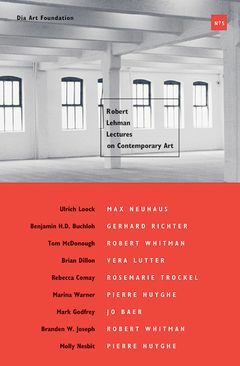 From 1992 to 2004, Dia Art Foundation presented the Robert Lehman Lectures on Contemporary Art, in which a distinguished array of scholars, critics and cultural historians engaged in cross-disciplinary critical discourse around Dia's exhibition program. The lectures were subsequently collected into a related series of publications, providing a valuable record and extending the debate on contemporary artistic practice and theory. 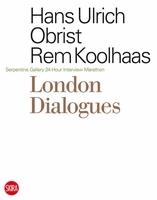 This fifth and final volume focuses on analyses of the work of internationally recognized artists Jo Baer, Pierre Huyghe, Vera Lutter, Gerhard Richter, Rosemarie Trockel and Robert Whitman. FORMAT: Pbk, 5.25 x 8 in. / 176 pgs / 12 color / 45 b&w.